The story of the foundation of the Two Two Boys is highly unique from many of the other notorious street gangs in Chicago. The story begins in the mid-1970s in the Marshall Square neighborhood when kids growing up around 23rd down the 22nd and California got together to play baseball and roller hockey on nearby Marshall Boulevard which was one block away. This group of kids was about 13 years old in age for the most part and many of them were family to each other. In the mid-1970s the Latin Kings were trying to control all of Little Village as they became stronger in numbers. The notorious south side headquarters for the Latin Kings was just a few blocks away at 24th and Marshall Boulevard. The Satan Disciples were trying to have their solidarity from 24th and Washtenaw and both gangs were clashing at the border. Right at that border were these kids from 22-23rd and California, so these kids would see the gang fights all the time between SDs and Latin Kings. One of the kids in the group Lil Tita, (later known as AnnaMal) befriended Rusty, Chango, Joker Beto and Little Vinny of the 24th and Washtenaw Satan Disciples. Soon the SDs were coming over to hang out with these kids all the time in front of Lil Tita’s house at 2841 West 23rd Street. Latin Kings would come through the neighborhood and harass the kids from 23rd and California just because they were their own small clique. The kids were also being harassed on Marshall Boulevard making it tough to play sports in the neighborhood anymore. 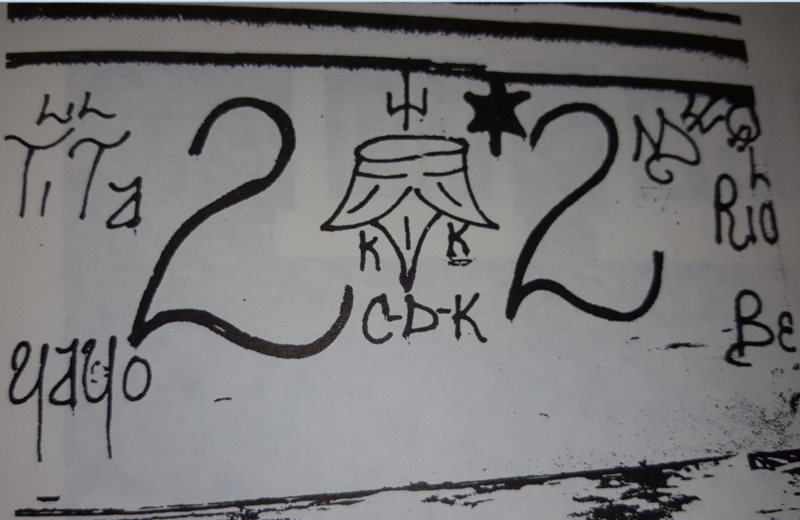 Things got worse by 1976 as now Latin Kings even began shooting at Lil Tita’s house but these kids would not join the SDs instead they decided to create their own gang to protect the area, they chose the name Two Two Boys in 1976. After this creation the Two Two Boys established a strong alliance with the SDs at 24th and Washtenaw, 18th and Oakley and Taylor and Racine. This alliance became the “Insane” alliance and the relation was established by Lil Tita. In the late 1970s, the Two Two Boys became more of a target than ever now that they were an official gangs. The Latin Kings marked them badly and continued to shoot and shoot and shoot at them drilling several bullets in Lil Tita’s home of all calibers. it didn’t matter how many times Latin Kings pulled up shooting at the house the Two Two Boys kept battling ferociously against the Boulevard Latin Kings hitting them back again and again and viciously fighting them off in the streets of 22nd to 23rd and California. Lil Tita was one of the toughest female gang members in the neighborhood and could even fight men. The Two Two Boys were heavily outnumbered and everyone in the neighborhood and the SDs were in awe about how this group could go against the Boulevard Kings so savagely, this even made the 23rd and California house at 2841 West 23rd Street legendary. In the year 1978, Malo, the cousin of Lil Tita came to visit frequently to 23rd and California to check on the safety of his cousins. Malo was an Ambrose member and eventually started bringing Ambrose around there and this created the tight alliance between Two Two Boys and Ambrose. Ambrose and Satan Disciples were enemies but now that both Ambrose and SDs were coming to hang out at 23rd and California with Two Two Boys the Two Two Boys were able to draw up an alliance between the three clubs. Two Two Boy founders were also family with Two Sixs and now the alliance was extended to all four clubs as many members of all four clubs were related, this led to Ambrose, Two Six and Satan Disciples joining the Folk Nation alliance in 1978. The Two Two Boys were too new to be recognized to join the Folk Nation at that time but were still protected by these Folks. In the year 1981, the Two Two Boys joined the Folk Nation alliance with the assistance of the Satan Disciples, this was also the time when Two Two Boys became allied with Two Sixs and Ambrose. Tragedy fell upon the Two Two Boys when 21 year old Santos Limon was killed on December 28, 1981. Limon was a founder of the Two Two Boys and original member. Along with Lil Tita and Gil, Santos helped draw up the original concepts for the Two Two Boys as one of the main founders. He was dearly missed after being killed. Photo from a 1980s Chicago Police manual. You can see the raised pitchfork back then as they were allied with Satan Disciples. The top two pictures are Lil Tita from about the late 1980s. At the bottom right is the obituary card for founder Santos Limon that killed in 1981. In the other two pictures is George Lopez, Peter, Sal, Vinny, Yayo and Gil, all founders of the Two Two Boys from the 1980s. 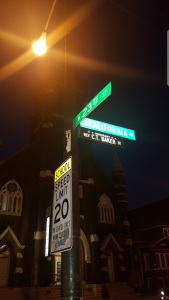 Now that the Two Two Boys were brought into the Folk Nation, they were now on a conquest to start new territories like 23rd and Marshall and 51st and Wood which was in the Back of The Yards section of the New City neighborhood in Cornell Square Park. In the early part of the year 1982, the first Mexican families moved into the suburb of Cicero in between 50th Avenue running east to Cicero Avenue in the Grant Works section. At that time the Arch Dukes and Noble Knights street gangs dominated that area and were not too happy to see Mexican families moving into the area. The Noble Knights and Arch Dukes often bullied groups of Mexican kids and some of the families had enough of the conflicts with the gangs. These families happened to have members of the 22nd and California Two Two Boys. The Two Two Boys organized at 14th Street and 49th Avenue stemming from the 22nd and California branch. The Noble Knights, Twelfth Street Players and Arch Dukes far outnumbered the Two Two Boys, therefore, the Two Two Boys found any Folk allied gang members they could around Cicero and united with them which included an Imperial Gangster from 19th and Cicero Ave, two Satan Disciples and two members of the Simon City Royals. The fact that some Two Two Boys and members of other gangs were living in this part of Grant Works made many youths living in this area a target of the Noble Knights, Arch Dukes and Twelfth Street Players. Even if kids were not in gangs they were targeted and beaten up, by the summer of 1982 the youths in this area, both white and Mexican, had enough and were ready to join a gang. The Two Two Boys happened to be the most open to recruitment and began taking the frustrated youths into the Two Two Boys like Riskky, Sin and Karoo and others until there were 10-12 members of the Two Two Boys. With the new members 14th Street and 49th Court became Two Two territory as well. Noble Knights and Arch Dukes would invade Two Two territory smashing car windows and shouting as they came in with numbers as much as 40 members at a time, but now there was an actual full section of Two Two Boys to fight back. Rival gangs began invading Two Two Boy turf that now included Latin Kings that were forming in Cicero. Rivals came in with guns blazing shooting members of the Two Two Boys but Two Two Boys began shooting back on 49th Court and caused invaders to stop coming onto 49th Court. As the fall of 1982 came in and led into 1983 there was a war of one side of the Grant Works against the other with the dividing point as 50th Avenue. Noble Knights and Two Two Boys were the main ones in conflict and Noble Knights considered just about anyone from the Two Two side of Grant Works to be enemies and this fueled Two Two Boy recruitment into 1983 as the organization swelled to over 100 members. Now the Two Two Boys opened at 14th and 48th Court, 19th and 48th Avenue and 31st and Laramie (Tre One) in 1983. Cicero made gangs were more than furious with the arrival of the Two Two Boys, gangs such as Noble Knights and Arch Dukes immediately engaged in wars with the Two Two Boys especially since all these gangs were in the Grant Works section. 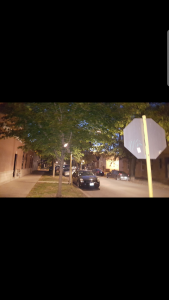 The Two Two Boys also were going at it with the Twelfth Street Players that were said to be the first gang in Cicero and did not take kindly to Two Two Boy presence. 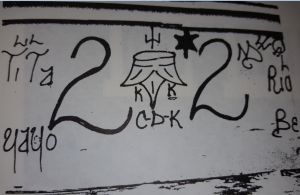 Latin Kings also invaded Cicero in 1980 but were given respect because they were in the People Nation alliance with the Noble Knights and Twelfth Street Players. To make things worse for the Two Two Boys, the Latin Counts invaded Cicero in the 1980s as well and were a part of the People alliance. There were thousands of rivals for the Two Two Boys to deal with between the Latin Kings, Latin Counts, Bishops, Twelfth Street Players, Noble Knights and Arch Dukes. The Two Two Boys also needed to deal with the fact that Noble Knights, Arch Dukes and Twelfth Street Players liked to play into the community and act like pillars of the community by going to businesses and cleaning up Two Two Boy graffiti. They put on an image that they cared for the community and demonized the Two Two Boys, so now the Two Two Boys had to deal with more police attention and residents hating them, it was tough but the Two Two Boys still managed to dominate a lot of Cicero they colonized and recruited hundreds of members in Cicero. The Two Two Boys’ closest ally has always been Ambrose. Both organizations even wear the same gang colors, and wearing these colors and hanging out together in each other’s neighborhoods is what dragged both gangs into their first interalliance gang war with a fellow Folk Nation gang. On November 7, 1986 Two Two Boys from Cicero were invited to a party that was being thrown by Ambrose at 63rd and Rockwell in the Marquette Park neighborhood. When the Two Two Boys arrived at the party they were informed of another Ambrose party being held at 6318 south Washtenaw, so they decided to check that party out, along the way back to Cicero to get more of their friends they stopped and got cigarettes at a 7-11 were they witnessed two Two Six gang members Jason Gray and Manuel Bobe also known as “Little Hulk” beating up two guys in the parking lot. 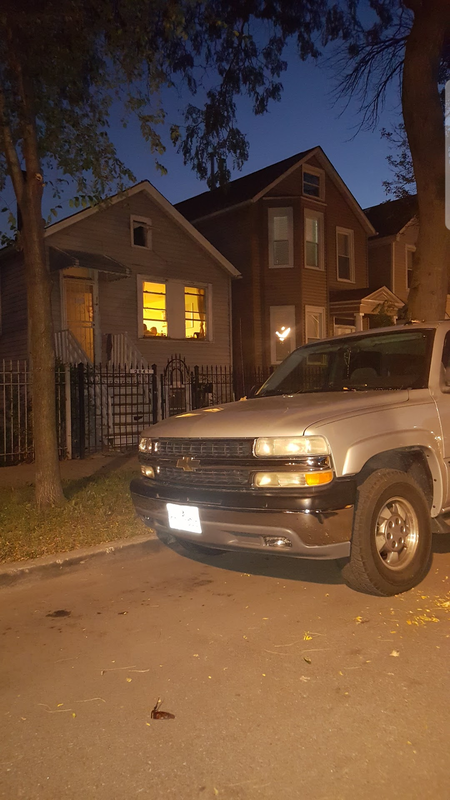 The Two Two Boys then later were driving down Kedzie and were approaching the I-55 expressway exit when that same Two Six car pulled up alongside them and were flashing Two Six gang signs throwing bottles at the car. Bobe and Gray and a third Two Six in the car thought the Two Two Boys were Ambrose gang members, but even when Jessie Alvarez and Sam Rahder flashed Two Two Boy gang signs the Two Six gang members did not stop with the hostility according to court documents, then the Two Two Boys pulled onto the expressway and proceeded to pick up their two friends from Cicero. On the way back to the party, once the Two Two Boys got off I-55 at the California Ave exit, that same Two Six car whipped out in front of them, and Bobe and Gray got out flashing Two Six signs and challenging them to a fight, the Two Two Boys got out of the car to fight, but the Two Sixs got back in the car and drove away (People Illinois vs. Manuel Bobe, 1992). Later that night as the Cicero Two Two Boys were partying with Ambrose at the 63rd and Washtenaw party there was a knock at the door at about 12:30 A.M, when the door was answered Jason Gray started shooting at the party guests then Manuel Bobe started shooting according to court documents. Four people were shot and three of the four were killed. One of those killed was a Two Two Boy gang member, and the one that was injured that was not killed was a Two Two Boy named Jose Mendez according to court documents (People Illinois vs. Manuel Bobe, 1992). After this 1986 shooting Two Two Boys and Ambrose went to full scale war with Two Sixs despite the fact that they were all part of the Folk Nation. Lil Tita moved out of 23rd and California in 1987 but she left a major legacy as the first and only female founder of one of Chicago’s most notorious street gangs. Yayo, Gil and Benny Bear later family men and retired from the gang life in later years but continued to run the Two Two Boys well into the 1990s. Yayo bore a son he named Santos to be named after Santos Limon. The legend of these founders is something to be marveled, especially the legacy of Lil Tita, later known as AnnaMal as being the only known female founder of a Chicago street gang. in the 1970s and 1980s she was the most protected female in Little Village and even just the sight of her would make rivals run because they knew if they tried to harm her they would suffer dire consequences. In the year 1988, Ambrose went to war with Satan Disciples and this naturally brought the Two Two Boys into war with SDs as well. Two Two Boys were much closer with Ambrose and had a deeper brotherhood while the relationship with SDs was more business-like. SDs were looking to expand their turf throughout the Marshall Square area and Cermak and California was right in the cross hairs of SD expansion. SDs perhaps wanted Two Two Boys to flip to SDs but Two Two Boys held their territory sacred and refused to give into SD expansion this sparked a war with the SDs, thus, ending the Two Two Boy’s alliance with the Insane family, however, the Two Two Boys kept the Insane part of their name which angered SDs further. Now Two Two Boys were surrounded at Cermak and California dealing with invading Two Six from Little Village, Latin Kings only 1 block away, SDs on the East side of them trying to invade west to connect to their eastern Little Village turf, it was all a major headache and Two Two Boys decided to withdraw from 23rd and Marshall and 51st and Wood to make Cermak and California much stronger. The Two Two Boys and Ambrose would also engage in a very vicious interalliance war with the gang La Raza that used to be fellow allied Folks for the reason that La Raza was heavily infringing on the 14th and 49th Ave territory in Cicero. Things became more of a headache when the Majestic Party Crew that shared 31st and Laramie with the Two Two Boys joined the Folk Nation under the umbrella of the Satan Disciples instead of under the umbrella of the Two Two Boys in 1992. The Two Two Boys felt this was disrespect because the two gangs hung out all the time drinking and smoking together and fighting the Kings, now the Majestics joined forces with the SDs. This of course meant war between Two Twos and Majestics right on each gangs’ own front lawns, and it turned out to be a nasty and costly war that neither side could win. All the gang wars going on caused some Two Two Boys to flip to Maniac Latin Disciples and eventually a set of Cicero MLDs popped up. The MLDs saw opportunity with the Two Twos and Majestics slugging it out and killing each other, so the MLDs made a move to take 31st and Laramie and this caused the Two Two Boys to go to war with MLDs as well. More problems came in 1993 when the Milwaukee Kings settled in the Grant Works section of Cicero and right away they wanted turf near where Two Two Boys were and this set the Two Two Boys off to start gunning at MKs as well especially after the MKs killed a Two Two Boy. It was also in this same year that the war with Two Sixs now became more focused and more intense as Two Twos and Two Sixs were fighting for control of the Parkholme Homes. Not only were the Two Sixs fighting the Two Twos over at Parkholme but Two Six was also fighting the Latin Angels who were also dealing with a war with the Latin Kings as well. Two Two Boys and Latin Angels were really tight with each other because of their common enemies, they even banged together against the Sin City Boys after they moved into Cicero. 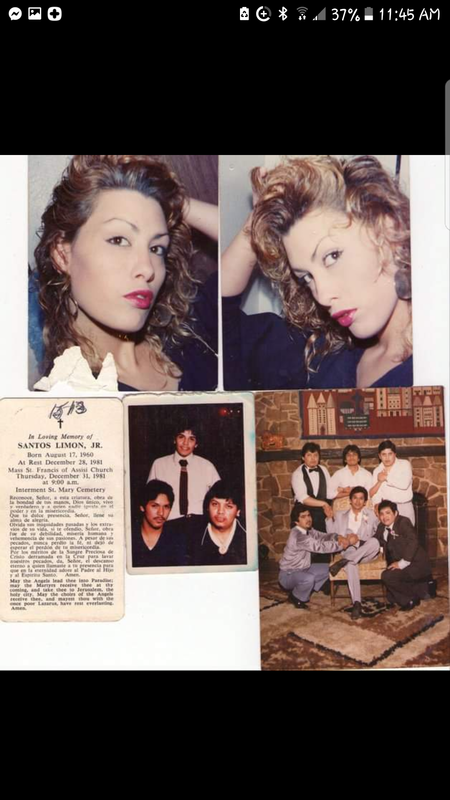 The Latin Angels were really the only ally the Two Two Boys had by 1993 but that would all change when the Latin Angels surprisingly joined the People Nation and allied with the Latin Kings even after they killed Edward “Lalo” Jacquez outside of the pool. Now the Two Two Boys had no allies in Cicero accept the Harrison Gents who did not have a very strong presence in Cicero. Eventually the Two Twos would have on and off truces with MLDs and Insane Majestics. In 1994, the Two Two Boys shook hands with their long time rivals of almost 25 years the Cullerton Deuces. The Cullerton Deuces decided to switch from the People Nation alliance to the Folk Nation alliance and that is what brought them together along with hate for nearby SDs and Latin Kings. In 1997, the Maniac Latin Disciples swelled in numbers in the area all around 31st and Laramie and waged war once again with the Two Two Boys and the Insane Majestics. The Majestics and Two Two Boys were all banged up from battling each other and this would cause both gangs to dissolve at the hands of the MLDs at 31st and Laramie if something drastic was not to be done; therefore, the Tre One Two Two Boys and Majestics called a truce and teamed up against the MLDs. After a while the three gangs called a truce and in the agreement the Two Two Boys left the area to the MLDs peacefully especially since Two Two Boys needed their forces more built up in other parts of Cicero. This move was smart on the Two Two Boys’ part because they could have survived there but only until more members ended up in prison for violent crime, then young members would have flipped. Sometimes it is best to pull out of an area if it is more costly than profitable. The Majestics stayed at that corner because that is their only turf anywhere. In the same year of 1997 or perhaps a year prior in 1996 the short lived alliance with the Cullerton Deuces came to a halt as both gangs went at it again; however, over time this war would be on and off. The Two Two Boys have always been able to survive with little to no allies and also be surrounded by enemies that they would fight intense and brutal gang wars all at once. Most gangs have an ally or two around them or only battle one rival in their direct vicinity but the Two Two Boys have been known to throw down with several gangs all at once. Cermak and California is still heavily protected and is a zone where rivals will be met violently if they attempt a take over. What year did 23rd and Marshall and 51st and Wood open? What years did those sets close? What year did Bolingbrook Two Two Boys start? Who was Bolingbrook founder? Superman?